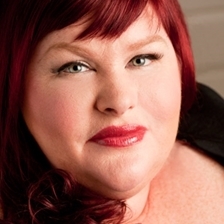 Cassandra Clare is busy writing the second book of her The Dark Artifices trilogy – Lord of Shadows – and the next book in her Magisterium series with Holly Black, but she found the time to answer four questions that Publishers Weekly had for her. You always have some cool contest or giveaway for your readers when you release a new book. What are you planning for Lady Midnight? Well, I really wanted to be able to sign the entire first run of Lady Midnight but then they told me how many books that would be (at least 600,000) and I realized no human being could do that. I’m aware of what signing 150,000 copies [of The Fault in Our Stars] did to John Green. So I remembered that when Suzanne Collins hurt her wrist and couldn’t autograph any copies of Mockingjay, she had a special stamp made that she used during her tour but then retired, never to be used again. So I asked if we could create some kind of unique stamp and I would stamp as many books as I could, which still turned out to be less than they were going to actually print. So we drafted a bunch of people with connections to the book – the designer, the editor, the president of Simon and Schuster – and we had stamping parties to get it done. So if you get a stamped book, it was done by me or by somebody very close to the production of the book. All this and a TV show, too! Freeform [formerly ABC Family] just launched Shadowhunters, its own series based on the books. Did you get to have any input? I’m actually not involved at all. I mean, I did visit the set but I am as clueless as the next person as to what will happen next. Well, I do know a little, but I wasn’t involved in writing it and I didn’t have right of approval or get a consultant fee or anything like that. But, of course, all my readers always come to me with questions about it. That’s the thing about having a close relationship with your fans: they think to ask me first even though the TV series is really a completely separate thing that doesn’t have anything to do with me or the books. I think that will change. I think fans of Pretty Little Liars have finally separated the books from the show. [The show] is a riff on my work, not my work. A lot of people want to know, ‘Why aren’t you involved?’ and the real answer is, if I insisted on being involved, nobody would have bought the rights to make it. That’s just not the way these things work except in very special circumstances. And I’m okay with that. Lady Midnight will be published on March 8 and if you preorder now, you will get a stamped book with other cool extras.